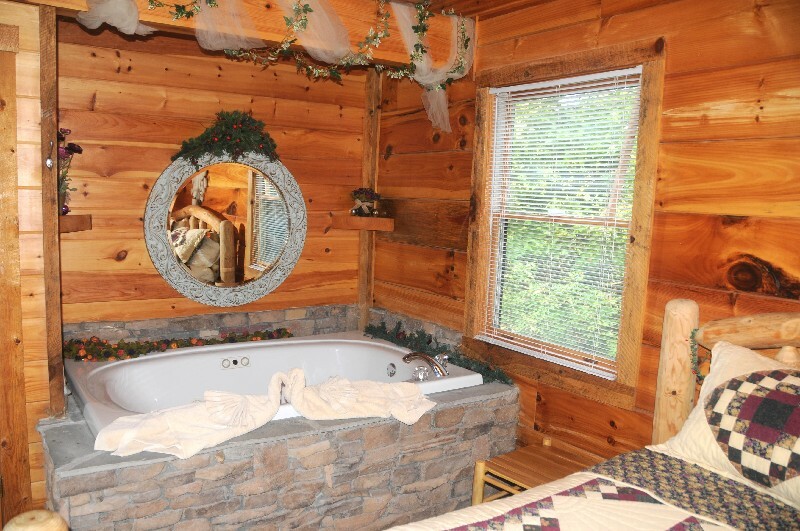 Grab your sweetheart and head to the Smokies for a unique cabin adventure. 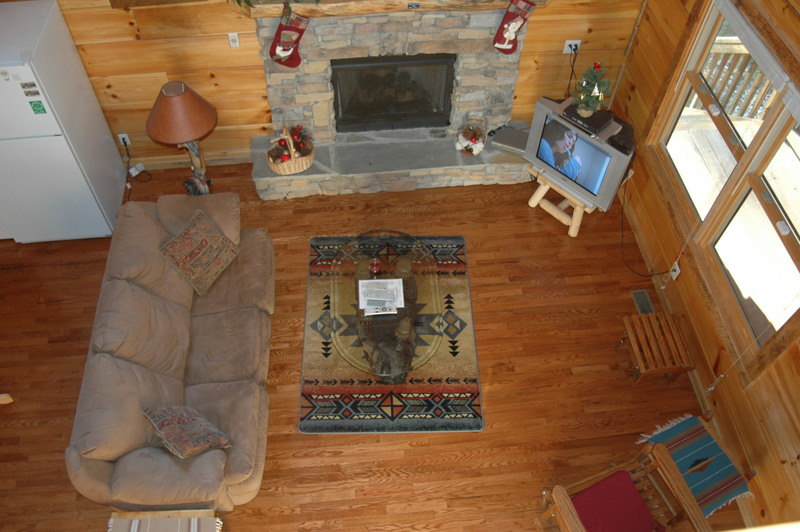 Wild Spirit offers rustic charm and modern amenities, nestled in tranquil wooded setting just minutes to area attractions. 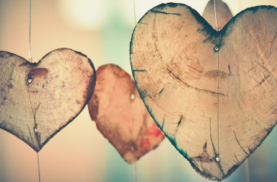 Enjoy the fully equipped kitchen and cozy dining area, perfect for your romantic candlelight dinner. 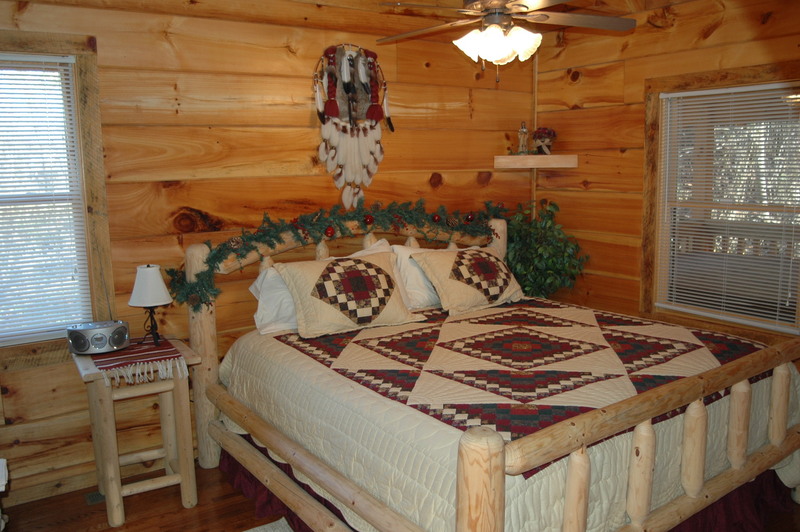 This quaint little cabin has a romantic bedroom with plush king sized bed and oversized Jacuzzi tub for two! 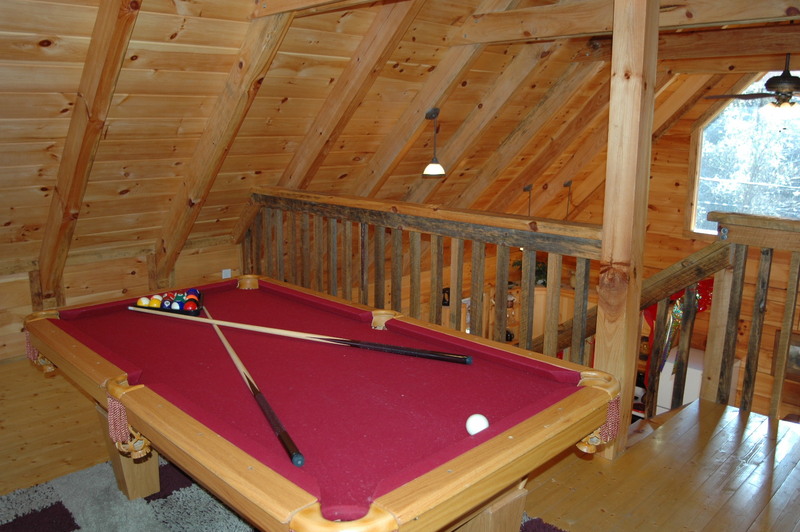 Also included is a futon making room for the kids. 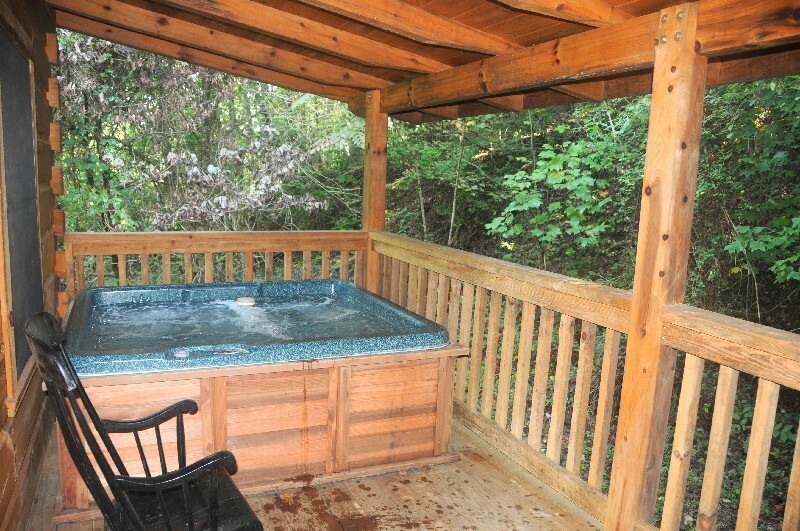 No better way to relax than by enjoying the bubbling hot tub on your private covered back porch. 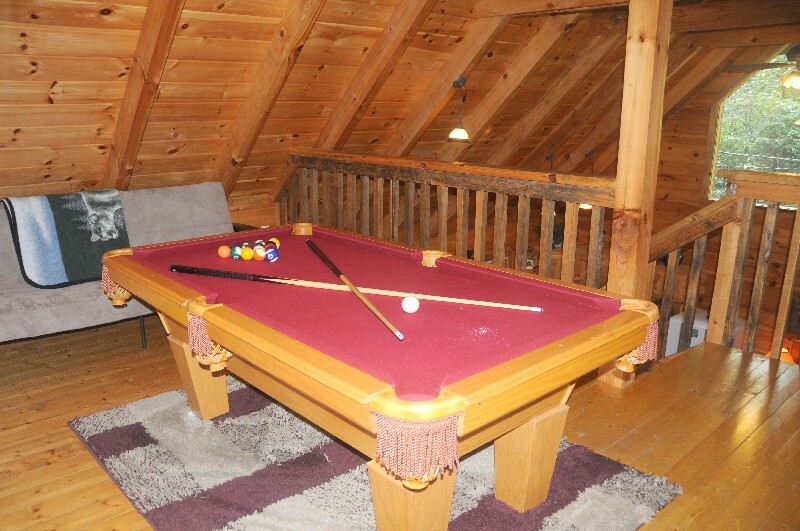 A game of billiards in you spacious loft game room adds a little competition to the fun of your getaway. 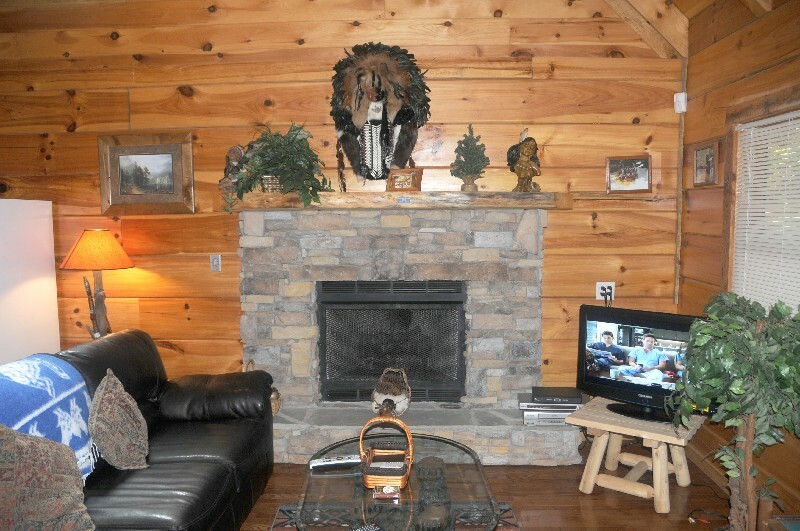 Conveniently located in Pigeon Forge, Tennessee, this 1-bedroom cabin is equipped with all the modern amenities to make your vacation or holiday memorable and enjoyable! Wild Spirit is sure to bring out a little of YOUR wild spirit! Our stay was perfect! Everything was excellent! 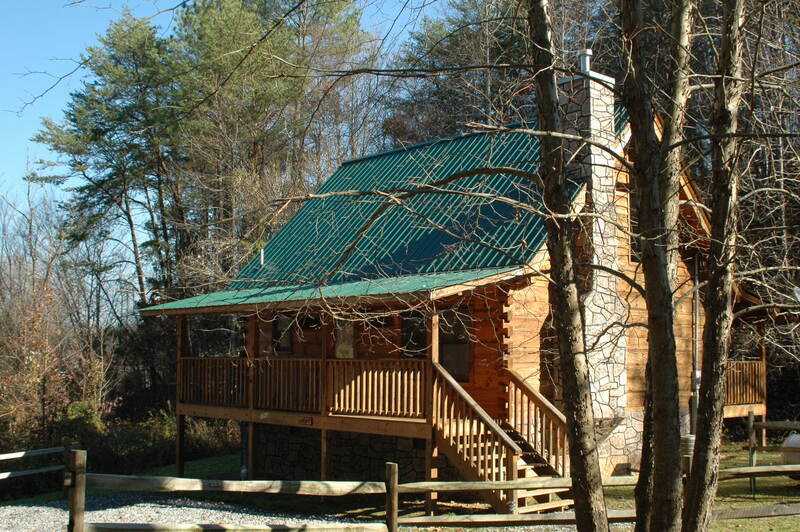 The location of the cabin was close to town, but also private. 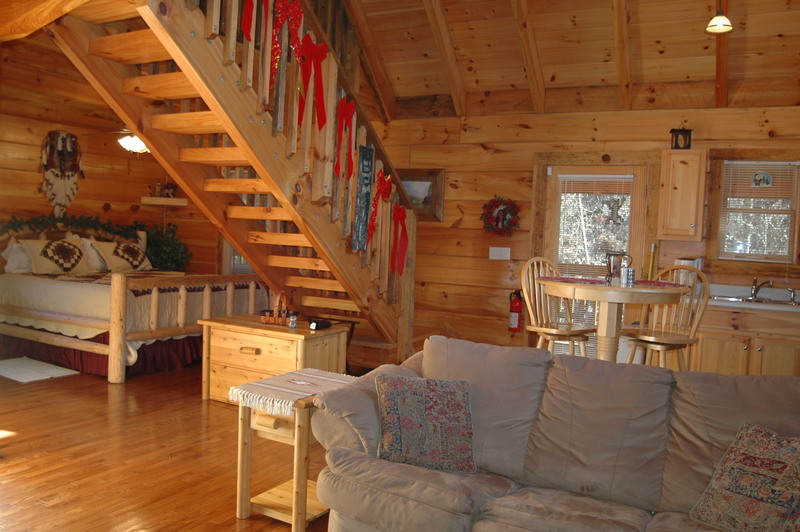 We are going to tell everyone we know about Maples Ridge Cabins! Our stay was wonderful! Super staff - they texted us during our stay to make sure everything was good to go. Will definitely stay with Maples Ridge again! 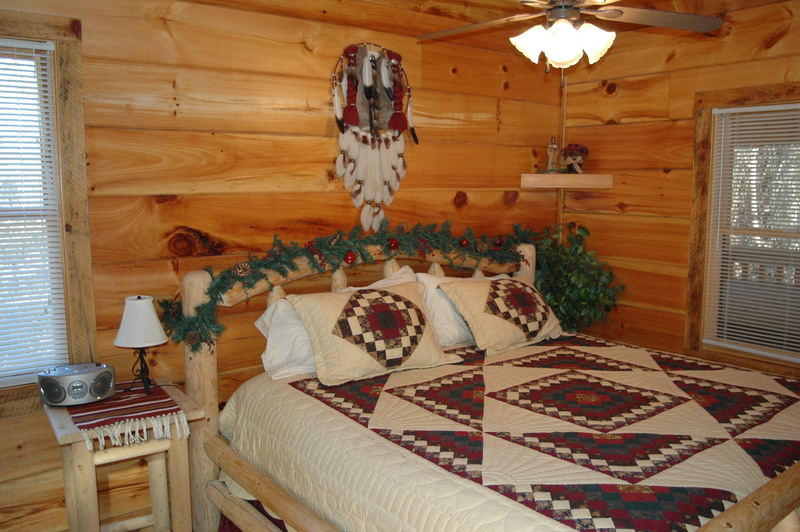 Lovely, clean cabin. 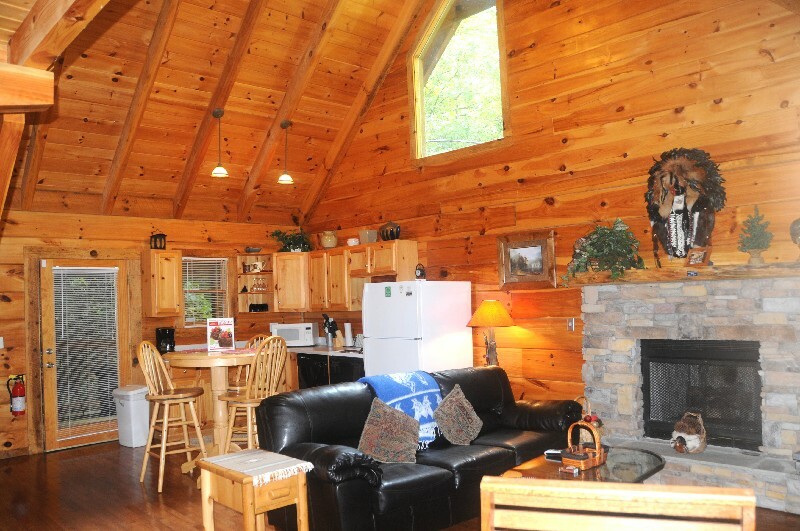 This is a super cute cabin, and so close to town. It was very clean. We would definitely stay again when we come back to the area. 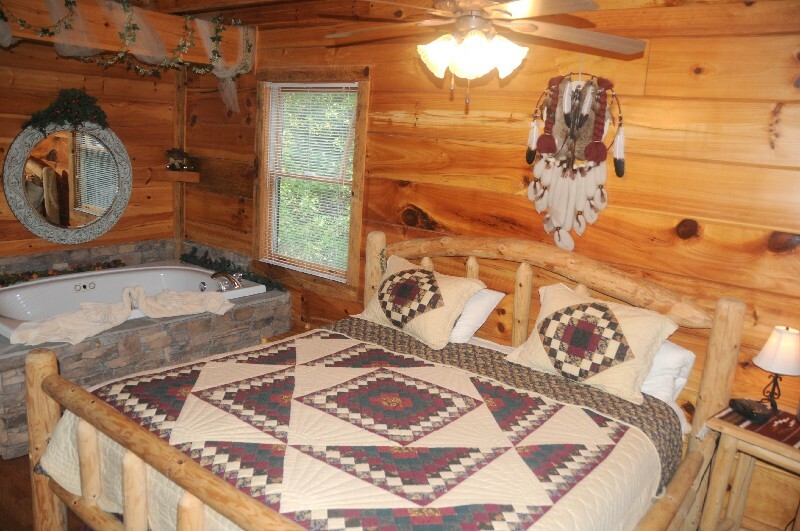 This cabin was very nice and so clean! We enjoyed our stay very much, and will recommend it to others. Clean and comfortable. We enjoyed our time there. Close to outlets, main strip and everything we wanted. We rented the cabin for a 2 night getaway. This getaway was much needed. We really enjoyed the tranquility and just being able to focus on each other, without having to worry about the kids. Saturday was filled with shopping, exploring Pigeon Forge, Gatlinburg and the Smoky Mtns. Thank you for providing the perfect setting for us to fall more in love with each other. We are planning to bring the kids at a later date. We had a grand time in Wild Spirit. We are from Indiana and our four person family had a blast. Thank you so much for letting us rent your cabin, The vibe was great. Anyways thank you so much. I enjoyed reading everyone's happy times in Wild Spirit. Mine was not so lucky. We came here to see if our relationship was worth fixing. I do not believe ours will be the happy ever after. I did enjoy my time here but now it's time back to reality and trying to start over as individuals and not a couple. Thank you Wild Spirit I will never forget this long weekend. we enjoyed our stay here. being close to town but at the same feeling like we are out in the boonies was incredible. We ate so much good food some of which we cooked here, pretty impressive for five 18 year old guys. We had five 18 year old dudes so sleeping accomadations were interesting. Somehow we all found comfort somewhere in the cabin. 10 of 10 would recommend. go exploring during your stay.. the mountains are beautiful. we know, we took an 8 miles, 4 hour hike to clingmans dome, the highest point to a fresh spring. so much beauty to be found in nature. Leaving out today! The honeymoon is over. Time to get back home. 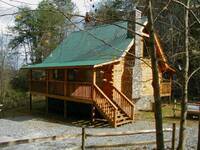 we stayed here while our son was competing in Knoxville for Destination Imagination Globals. It was a relaxing, fun getaway. Second time my husband and I got away in 15 years, much needed. Love the views and opportunities. We enjoyed our stay in your lovely quaint cabin. This was my first trip and my fiance has not been in 15-20 years. This was our first treal vacation together. Just the 2 of us and this cabin was the perfect place to come back to after long days of shopping, sight seeing and putt putt. Definitely in our plans to come back again. Go eat breakfast at the Pancake Pantry it's worth the wait. 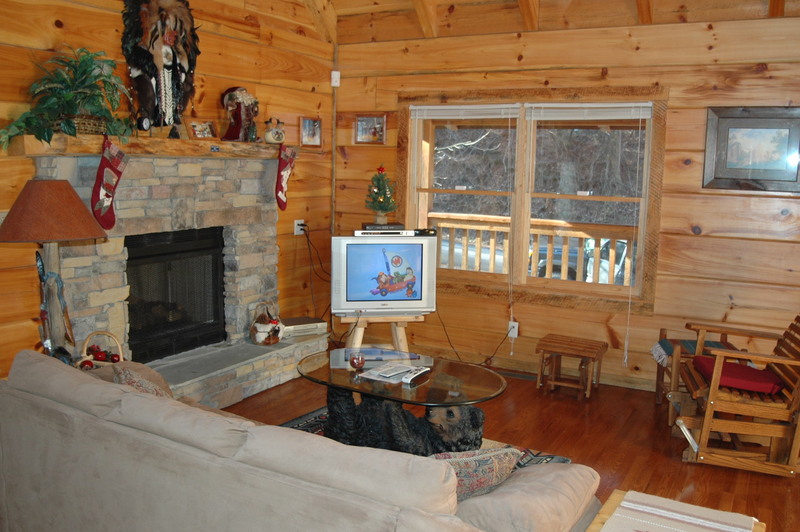 The cabin was great as was the management team. My children and I really enjoyed our trip to pigeon Forge and Gatlinburg. 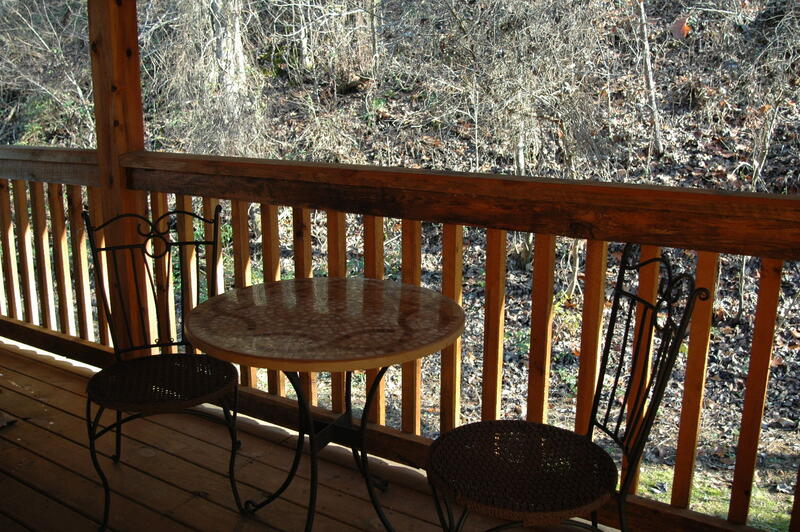 This cabin is in a great location to enjoy all of pigeon Forge and Gatlinburg. 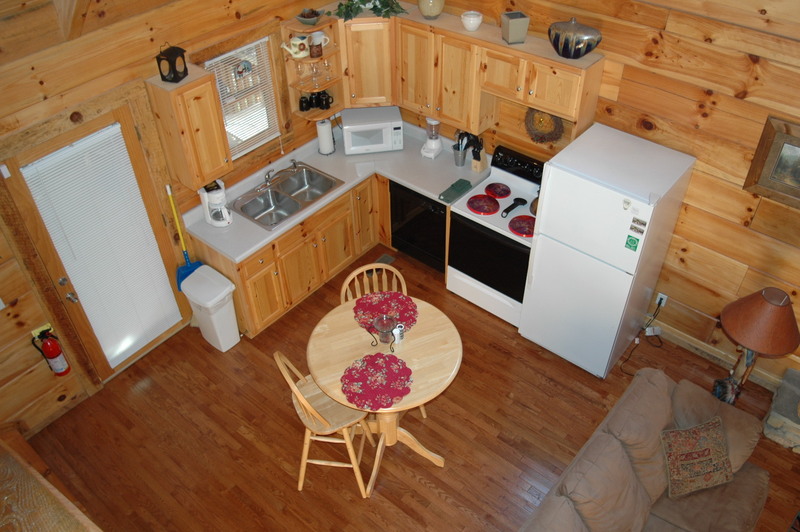 The cabin supplied all basic needs. It was great and relaxing. 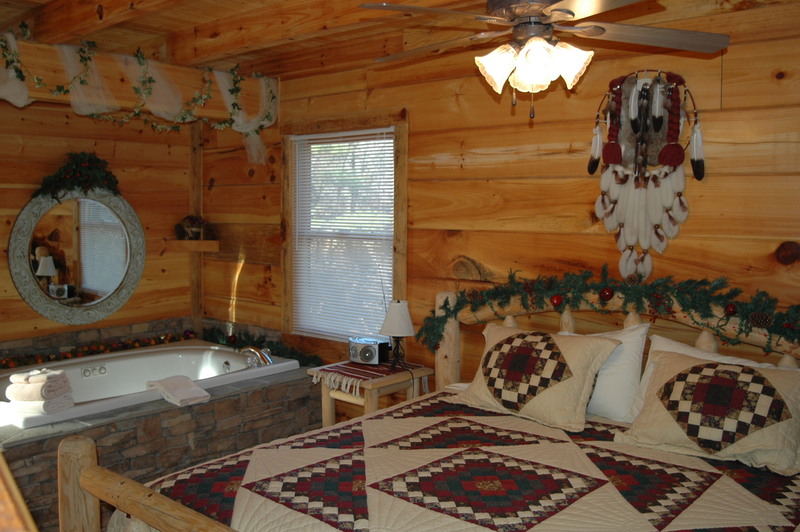 I will definitely book this cabin again. I would say it is better for a small family or a couple. Thank you For making our vacation great! Beautiful cabin in the trees. All basics were provided. 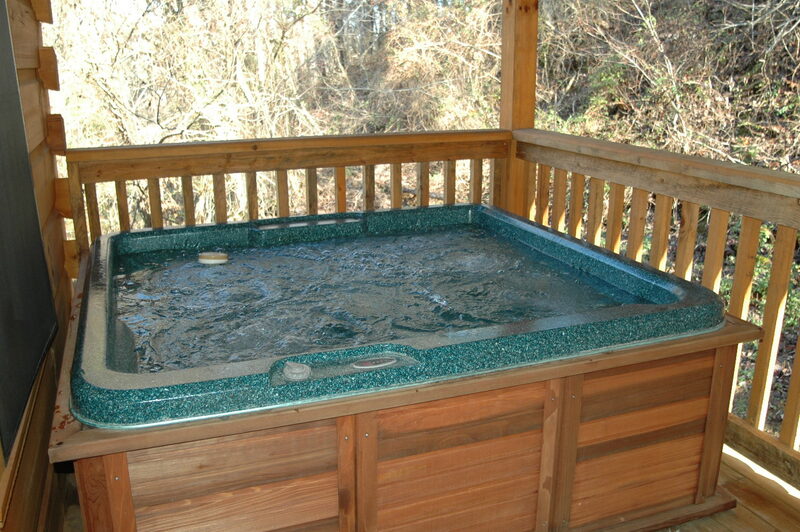 The staff was very helpful and had great ideas for things to do.